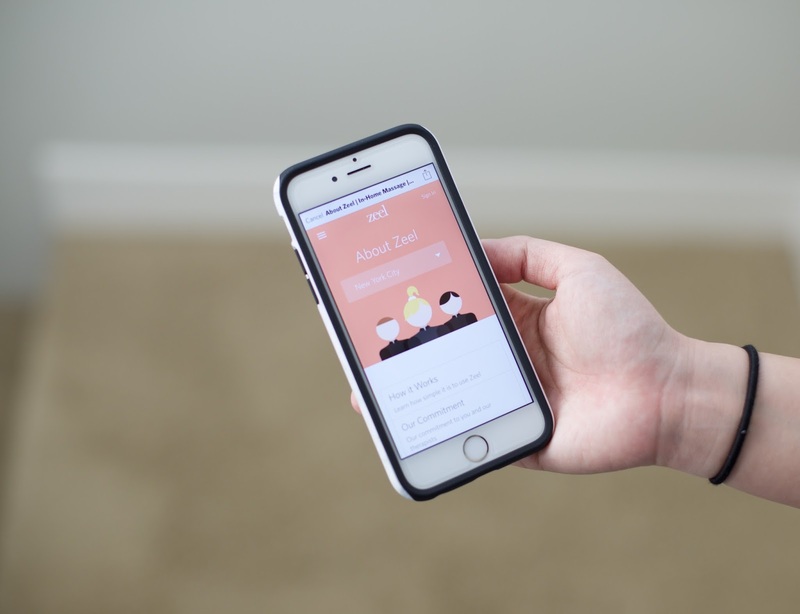 Booking an in-home massage via the Zeel app with a confirmation of your massage therapist was super easy! Today I am going to talk about my recent experience with an app called Zeel. 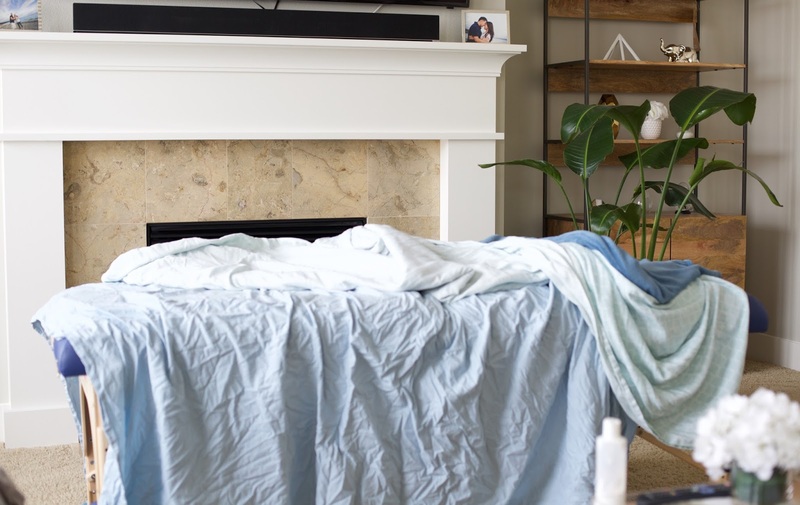 It is basically an in-home massage app that allows you to book a massage for a massage therapist to come to your house so you're in your own surroundings. When Zeel reached out to me to try out their app, I was a tad hesitant because I wasn't sure what to expect since I've never done this before but I figured why not since I've had some tense shoulder/neck area for the past year. A great thing about Zeel and what sets them apart from other similar apps, is that they do background checks on each massage therapist that they work with and make sure that they are experienced, licensed, and checked-out in person (not via FaceTime or Skype). The same goes for each Zeel customer! When I had booked my massage, they requested for my driver's license to scan front and back to do a quick check to make sure you're a real person and not just some rando wanting a massage. ;) They provide that extra layer of safety for both their therapists and customers so you feel good when booking. For my massage, I had booked a 60-min deep-tissue massage two days in advance and it only took about 10-15 mins to confirm my massage therapist, Kat. I was sent an text with her name and on the Zeel app itself, I can view the confirmation as well. On the day before, they had sent me another text to make sure I was still good with the date/time because you have to give more than 24 hours notice for any cancellation. My massage therapist, Kat was wonderful! She showed up and set up her massage table in the middle of my living room. Prior to the appointment, I was asked to provide a pillow case and two bed sheets so I was laying in my own linens. After giving her an overview on where I would like to pin-point the deep-tissue massage on (mainly neck and shoulders), she worked her magic and talked me through the whole process of my body and why that huge knot in my left shoulder blade just won't go away! haha.. Overall I had a wonderful experience esp for my first time and I would highly recommend giving Zeel a try! Zeel is now offered in the city of Seattle (launched today!) and also available in 18 metro areas (with 25 cities) including Boston, Chicago, NYC Tri-State, San Fran, LA, Miami, and more locations coming soon. It started in 2012 and was the first company to offer same day, in-home massages with licensed massage therapists. Zeel also has the largest on demand massage therapist network with 4,500+ vetted and licensed therapists across the nation with continued growth each week! For more info, check out their Facebook, Instagram, and Twitter! Disclaimer: Zeel did offer me the complimentary massage for a review.